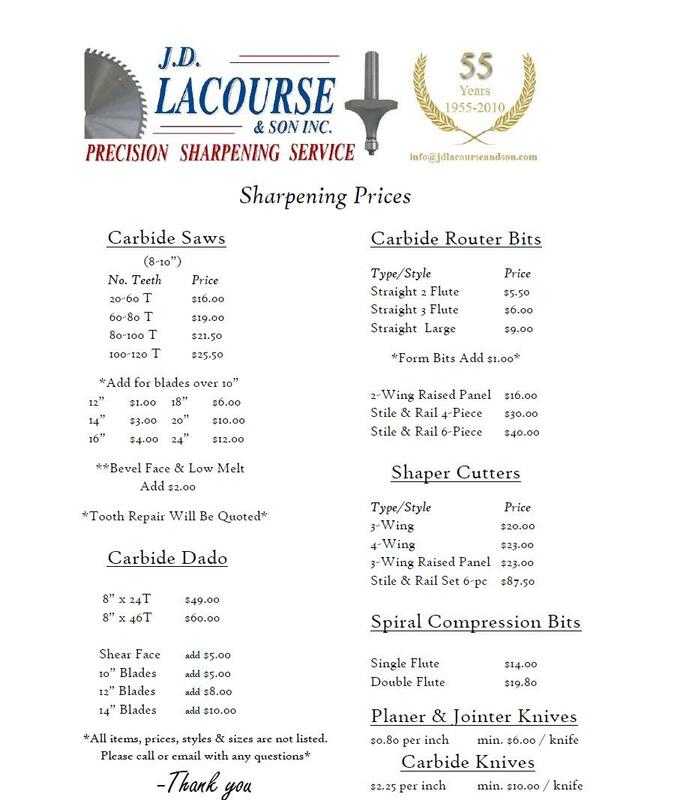 Precision Sharpening: Professional Knife Sharpener & Saw Sharpening Service in Pawtucket, RI | J. D. Lacourse & Son, Inc.
4 Generations & over 60 years of sharpening experience using state of the art equipment helps us ensure that your tools will be sharpened to your highest satisfaction. We guarantee to make every edge perfectly and precisely sharpened to not only cut better, but to also last longer. Cleaner cuts and longer lasting life between sharpenings will save you money and time so you can be a step up on the next task at hand. Aside from dropping off your blades at our storefront in Pawtucket, RI, you can also take advantage of our pick-up and delivery van (within a 50 mile radius) or use one of our many pick-up stations throughout the area (call for more info). If you aren't local you can always send us your blades through your preferred shipping companies. We have daily deliveries from UPS and Fedex and daily pick-ups from UPS so we assure your work will get here quick and back to you even quicker. For more information please call us at 1-866-96-SHARP today!